Internal Family SystemsSM is an evidence-based and integrative communication model with spiritual complements that helps clients develop techniques and strategies to address origins of internal conflict, manage any obstacles toward change, and achieve greater well-being through deep internal awareness and healing. Namaste Nutrition offers consultation for those who are working toward a fuller understanding of the IFS model as they move through the various levels of training currently offered through the Center for Self Leadership. 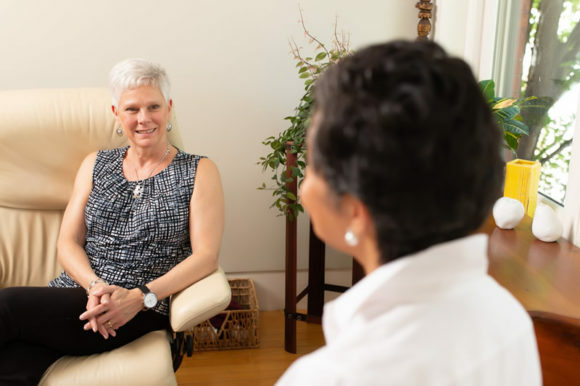 In consultation, practitioners counseling clients with emotional eating and eating disorders using the IFS model in a compassionate and confident manner develop more skillful clinical expertise to address client issues. The individual or group consultation space for dietitians and other healthcare providers is a confidential forum to work through challenging cases, share and learn, and increase in skills, self-reflection and confidence. Individual consultations are one hour and 75-minute or 90-minute appointments are available for groups. Contact me for rates.